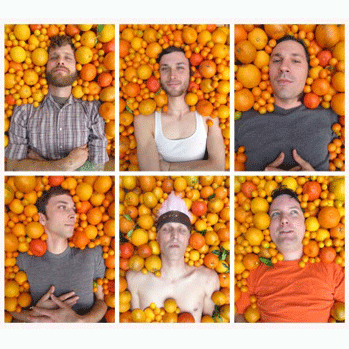 Holopaw is a long-loved independent rock band from Gainesville, FL. In addition to Paw, frontman John Orth has also performed alongside Modest Mouse’s Isaac Brock as Ugly Casanova. After a set of releases on Sub Pop, and one with Bakery Outlet, the band has signed on with Misra for its finest album to date. The “Golden Sparklers” b/w “Yearling’s Darlings” 7″ saw release in late 2012. Holopaw issued the unparalleled Academy Songs, Volume I. in January of 2013. Sleeping States & Holopaw - "Old vs. New/Through till the Morning Comes"